A UBC education extends beyond the courses of your degree program. Get involved in campus life, work with a community organization, or take advantage of UBC’s co-op program, the largest among post-secondary institutions in British Columbia. UBC offers a number of opportunities to challenge yourself, learn new skills, and make a difference on campus, and in the world. Working part-time while studying can be a great way to earn extra cash, meet new people, and gain valuable work experience. UBC’s Work Learn, Work Study, and co-op programs create well-paid jobs for Canadian and international students so you can earn while you learn. Getting involved in leadership and volunteer opportunities are great ways to develop skills you can put to use both at UBC and after you graduate. You’ll be surprised at how big an impact you can make. On both campuses, you’ll find hundreds of volunteer opportunities where you can give back to your community, apply your skills, and make meaningful contributions to important projects. Get inspired at a student-run conference. Connect with current and upcoming student leaders to engage in peer-to-peer learning experiences and develop your leadership potential. When you’re surrounded by oceans, mountains, and rainforests, sustainability naturally becomes an important aspect of life. Learn more about leadership and volunteer opportunities to keep your campus (and your world) green. Venture into your local community and connect with organizations, businesses, and foundations. You’ll build valuable relationships and learn more about yourself. Get involved with your student government – apply for a paid position, volunteer, or run for a student leadership position in the annual elections. Apply your academic knowledge to real-world issues through UBC’s many community-based experiential learning opportunities. 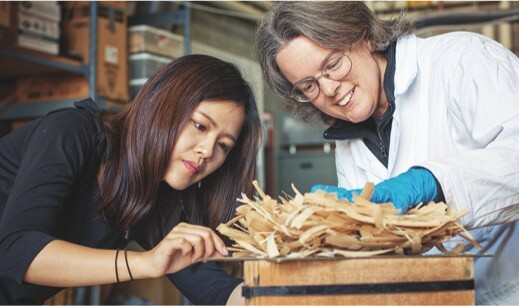 The Community Service Learning Program on the Okanagan campus and the Centre for Community Engaged Learning on the Vancouver campus can connect you with organizations in your area to design projects and implement change. 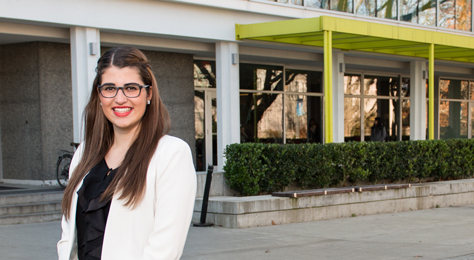 From UBC co-op placement to Google employee. "My co-op experiences gave me a chance to explore different fields in marketing. From my very first internship at Adidas, I knew that I was passionate about digital space and was able to further pursue this passion at my next internship." 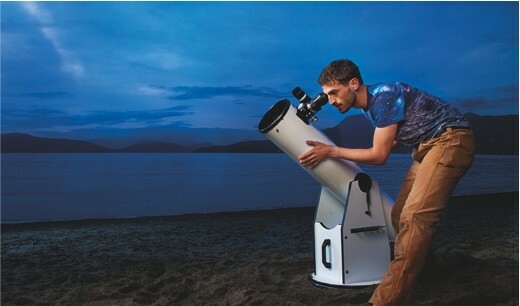 Are you an avid astronomer or a budding dragon-boater? Maybe you enjoy discussing foreign cinema or politics? Chances are there are others on campus who share your passion. With more than 500 student-run clubs to choose from, it’s easy to connect with like-minded students. UBC is a pioneer in teaching across disciplines, and today we have more integrated first-year programs than any other Canadian university. Is UBC the right university for you? Come and experience it for yourself! You and your family can join us at our Vancouver and Okanagan campuses for walking tours led by current students and for special events.